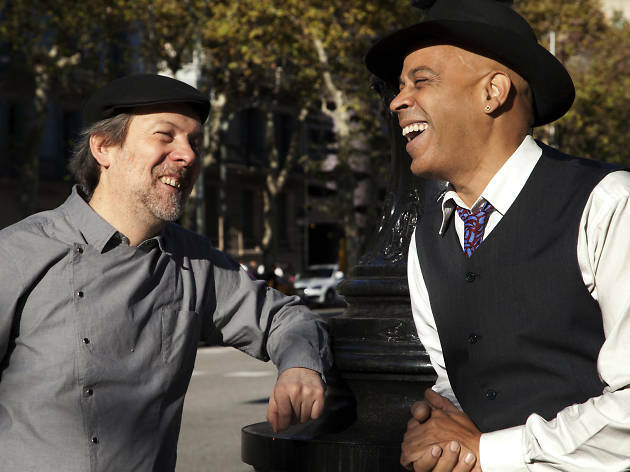 Christmas carols to the rhythm of swing with the voice of Randy Greer and the unstoppable swing of the Ignasi Terraza Trio are on the way to becoming classic fare for this time of year in this country, just like the traditional sweets torró and neules. 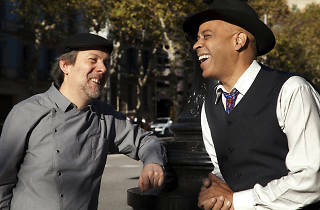 This is borne out by the success of their two CDs Christmas swings in Barcelona and El 25 de Desembre swing, and the fact that their tune “Wrap yourself in a Christmas package” has been included in the jazz Christmas carol compilation on the American label Putumayo, alongside names like Ray Charles and BB King. On them they tackle American Christmas melodies and traditional ones from this country in an impeccable jazz style. And, driven wild by the swing, we’ll be hanging from Randy Claus’ beard singing “I wish it could be Christmas every day”! Randy Greer, vocals, Ignasi Terraza piano, Horacio Fumero double bass, Esteve Pi drums.